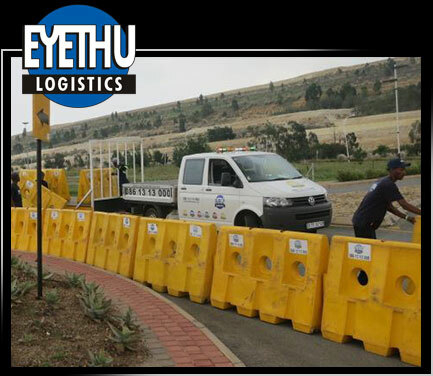 Eyethu Logistics provides logistical support and facilitation requirements from fencing for special events, ticket sales caravans, road markings to vehicle cleaning for vehicle launches and test drives. Logistical support extends beyond staffing to also include provision of sourcing or hiring through to placement and coordination of utility requirements such as golf carts for guest transportation at events, demarcation cones, directional signage and access control mechanics. Our service was successful in the sourcing, selection, training and deployment of 30 Brand Ambassadors for a national new vehicle launch.